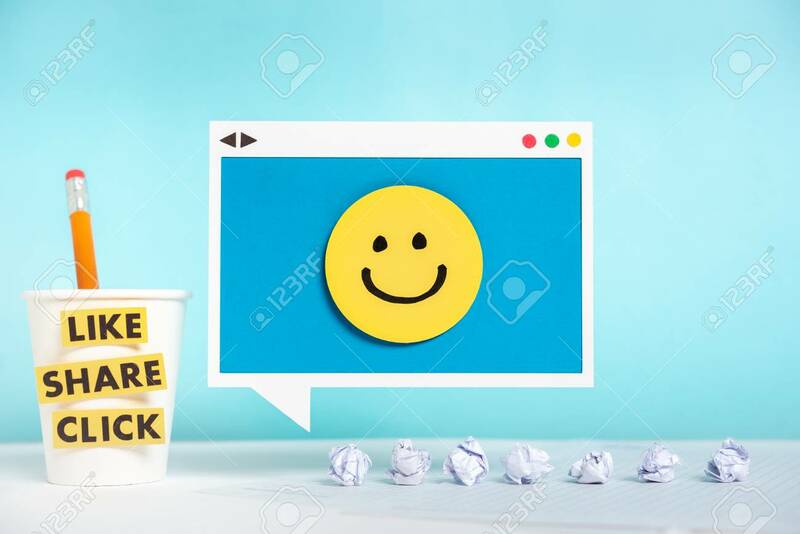 Immagini Stock - This Digital Marketing Concept Is Showing Speech Bubble Sign Hanging With A Happy Face And To The Left One Paper Mug With Like, Share And Click Labels And Crumpled Paper Balls On Desk. Image 113299452. Archivio Fotografico - This digital marketing concept is showing speech bubble sign hanging with a happy face and to the left one paper mug with like, share and click labels and crumpled paper balls on desk. This digital marketing concept is showing speech bubble sign hanging with a happy face and to the left one paper mug with like, share and click labels and crumpled paper balls on desk.